We know that seizures have the potential to be very problematic for anyone who suffers from them. They can cause problems with a person’s relationship, family, work and their ability to remain independent. According to a recent study from Australia, seizures can cause injuries in about one out of every ten people who have epilepsy each year. The researchers in the study watched 819 people who were a part of a community-based registry. This particular registry originated in Tasmania. The participants were asked about injuries they had suffered over the course of their lifetime, including the last 12 months, that could be attributed to seizures. Out of those who took part in the survey, there were 43.1% of the patients who had a history in their lifetime of at least one injury that was attributable to seizures and 9.9% of them had an injury within the last 12 months. The study has helped to show that real-life injuries that occur from seizures are rather common. They happen more often than many people who don’t have epilepsy might imagine. The study also showed that there was a correlation between the risk of being injured and the frequency of seizures. Those who suffer from more seizures are likely to be injured because there are more instances where it could happen. The study broke down the types of injuries. The largest number of injuries came from head injuries at 27.1%, followed by water immersion and drowning, which accounted for 25.8%. Having a seizure while driving accounted for 13.8% of injuries, burns for 13.5%, fractures for 10.2%, and dental injuries for 9.6%. The study also showed that in order to be fully safe, a person needs to be free of seizures. While reducing the frequency of seizures by 50% seems good, the patients are still at risk. The study did not find that those who have seizure warnings were any safer than those who did not. 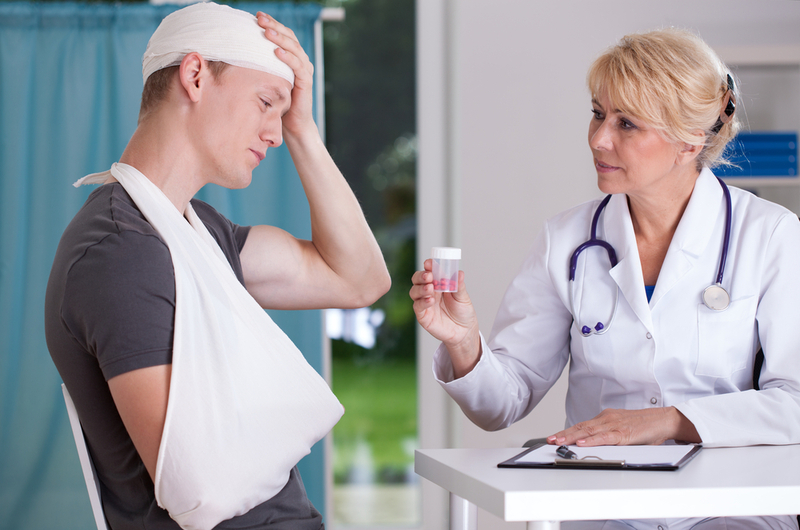 Many patients believe that if they have a warning before a seizure, it will mean that they can get to a safe place to reduce the risk of injury. However, that’s not always the case. Often, having a warning means that the patient is suffering from a large number of seizures and they may not all provide a warning. They are still at risk for injury. When compared with the rest of the population, those who suffer from epilepsy will have an elevated risk of death. This could be as much as two to three times as high as those who don’t have epilepsy. In a number of countries around the world, head injuries and drowning are major factors when it comes to the death rate of those with epilepsy. It is important to take this information and put it to use. What Can Be Done to Help Reduce the Risk to Patients? Those who have epilepsy should make it a point to speak with their doctors about different methods that they can use to help minimize their risk for injuries from seizures. Patients need to do as much as possible to help reduce their number of seizures. Whether this is taking an antiepileptic medication or going through the various treatments that can help to reduce the risk. Of course, these patients will still be at risk unless they’re able to eliminate their seizures. Unfortunately, there is currently no cure for epilepsy. Taking precautions when doing various types of activities, whether it is something innocuous like taking a bath/shower or being behind the wheel, is important to their safety.